All will come away from this New York City volume with newfound love for the beguiling, legendary, volatile town. Nonstop Metropolis: A New York City Atlas, edited by Rebecca Solnit and Joshua Jelly-Schapiro, is a multidisciplinary ode to one of America’s most beloved cities. This volume is a work of artistry and scholarship, focusing on New York City, past and present, and using a wide variety of vantage points. Twenty-six maps are accompanied by essays that each take on an area or characteristic of the city, including urban essentials parks, basketball, music, linguistic and cultural diversity, religion, education, and even trash. While the topics themselves aren’t always surprising, the freshness, creativity, and artistry that both the essayists and the mapmakers brought to their work is astounding. Each section is unique, and together they make up a holistic examination, often a celebration, of what—almost who—the city is. Though packed with research, the book is balanced with humor and lightness alongside its deep insights and scholarship. Each page is not only full of information but also a joy to read. The multifaceted combination of anthropology, mapmaking, history, pop culture, and artistry makes Nonstop Metropolis rich, catering to the sort of intellectual thirst that, without such books, is often only quenched by hours of obscure online research. Still, it is hard for the maps not to steal the show. They’re intricate yet easy to read. Each has its own style, befitting its subject. They balance cartographic accuracy, visual information, and entertainment, and demonstrate mastery of color, illustration, and typography. Whether they’ve lived in New York City for decades, just moved to town, or are planning a visit, everyone who encounters this volume will learn new information beyond mere factoids and will come away with a newfound love for this beguiling, legendary, volatile town. Urban planners, community organizers, and anyone else who values deep roots and urban innovation will find that this book gives them an understanding of the past and present that enables a clean projection into New York City’s future. 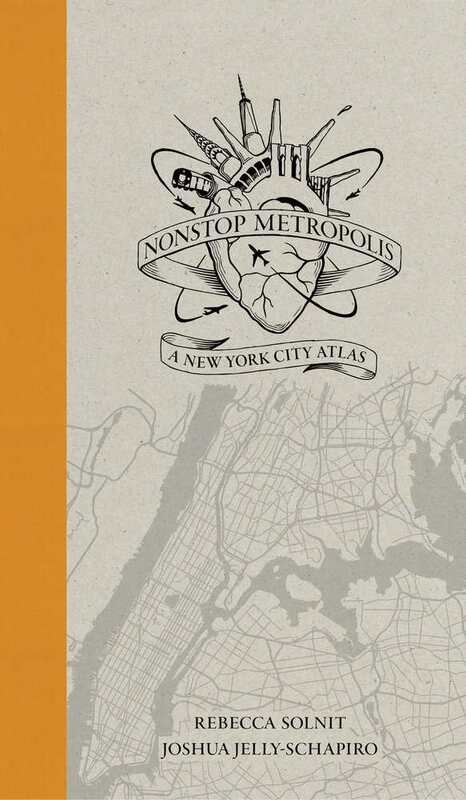 Nonstop Metropolis is an engaging and enlightening read for anyone who loves New York City, creative scholarship, and top-notch graphic design.